Who else is loving doing the 31 Day Challenge? I know I am. Doing nail art every day is nothing special for me, I basically do that every single day anyway! But what I'm loving is having the theme to work to and also seeing everyone's mani's inspired by that same theme. 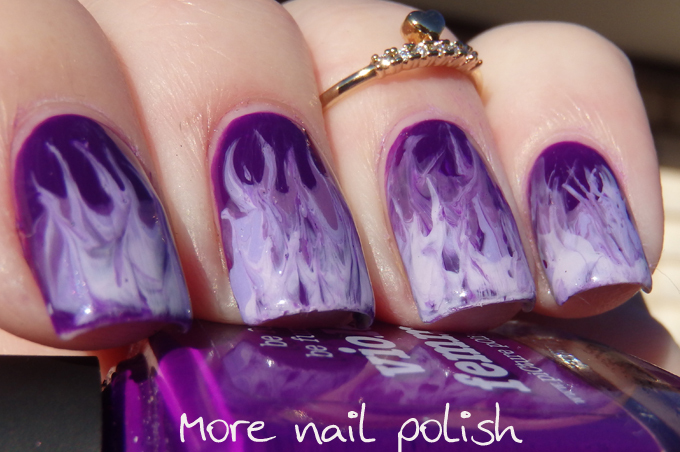 The 31 Day Challenge really brings about a sense of community in the nail polish world. Onto today's theme - Violet. This is one of those mani's that looks much better at a distance than up close, but of course I have the up close photos to show you. 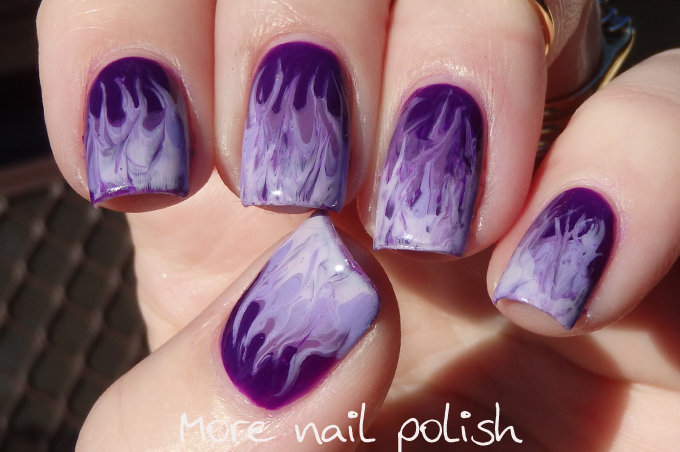 I wasn't sure that these even looked like what I had planned until Miss Three spotted my nails and said "Ooooooohhhh Mummy, Purple Fire". If she could tell what it was, then I knew it looked ok. I used the same technique for this drag marble as I did for my pastel fire with unicorn mani a week or two back. I know that I promised a tutorial, but I'm still working on it! I used Picture Polish Violet Femme as the base, then dragged with Ulta3 Palette Play and Lilac Bloom. Some nails worked out better than others, and like I said, this looked much better at a distance, which is good, because most people actually look at your nails from a distance, not at the enlarged giant fingers we look in blog photos. You can also just see the last midi ring I got from Astrid & Miyu. This one is the gold crystal floating heart ring and it is so adorable, all their rings come in gold, silver or rose gold too. It looks like a little crown or tiara on your finger. 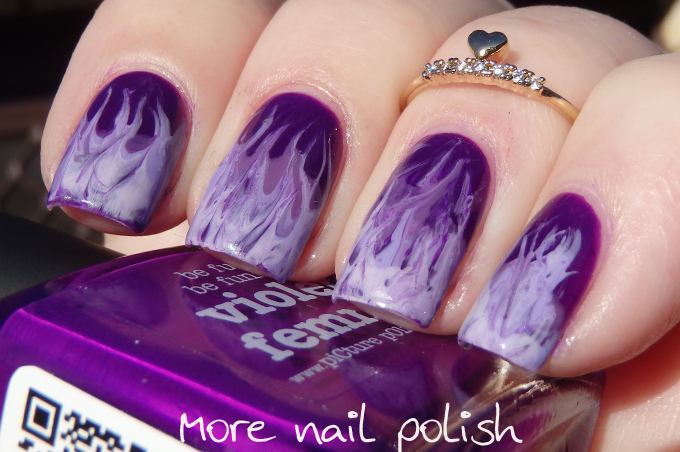 My Violet nails from 2013! 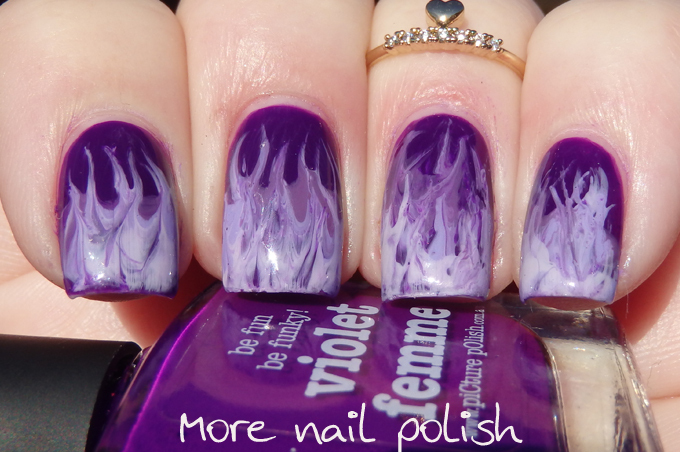 I love this, it really looks like flames!